Arshad Abdulla was the founding Partner and Principal of Arshad Shahid Abdulla (Pvt.) Ltd, heading the Architecture Department at the firm. 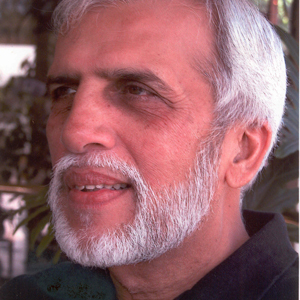 Arshad Abdulla completed his Bachelors in Architecture from Illinois Institute of Technology, Chicago, in 1971. Upon graduation, he joined CF Murphy & Associates and later worked for Miller & Associates before returning to Pakistan in 1973 where he joined Pyarali Merali Associates as a partner. In 1979, along with Shahid Abdulla, he formed Arshad Shahid Abdulla (Pvt.) Ltd. He was a member of Pakistan Council of Architects and Town Planners (PCATP) and Institute of Architects Pakistan (IAP) for which he has served as Chairman for the Karachi Chapter (1987-88) and later President (2001-2004). He also chaired South Asian Association for Regional Cooperation of Architects (SAARCH, 2004-2006). He served as a juror and lecturer at various schools of architecture in Pakistan. He was among the founding members of Indus Valley School of Art and Architecture and worked actively towards the establishment of the school from its very inception through to design and construction of the campus. He was also part of the initial teaching faculty at the school and taught there for many years. He also served as a Chairman of the Board of Governors at the School. Throughout his professional career he took great interest in social projects. Along with a group of individuals, he helped form The Citizens Foundation in 1994, with a vision to create a vehicle for social change that would have a strong positive impact on communities with great need, through the power of quality education. Arshad Abdulla took on the responsibility of designing and constructing the schools. He designed five basic modular schools that were replicated across Pakistan using different building materials and finishes that could be easily maintained. To date there are about 660 schools with an enrollment of 92,000 students. Arshad Abdulla also felt, from very early on, that there was a tremendous need for good quality vocational training in Pakistan. However, this dream could not take root until recently, when he helped found The Hunar Foundation in 2008. This was the last project that he helped initiate. He passed away on October 25th, 2009 in Germany (may God have mercy on him). His legacy continues with his architectural Firm he established with his brother Shahid Abdulla, his innumerable students that he came in touch with his teachings and personality and the many organizations he guided with his deep commitment.